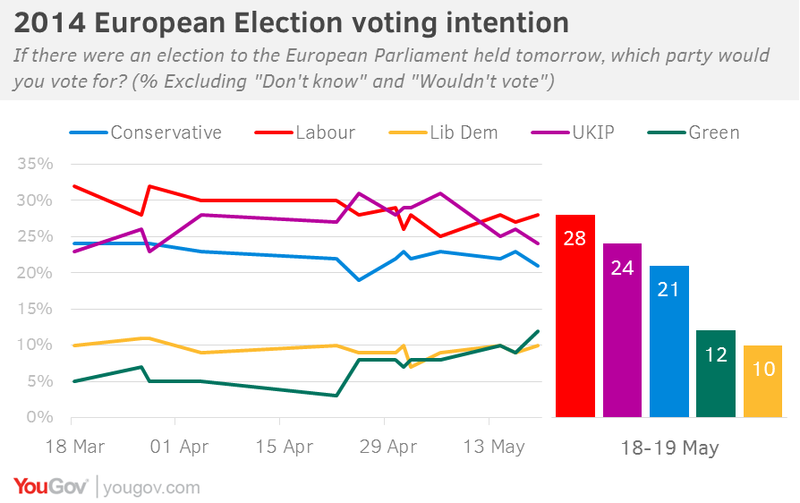 While I am frustrated with the continued coverage of far right UKIP, it is time to see if the national media will give the Green Party the air time we deserve now that we are firmly in 4th place with YouGov poll this morning showing us on 12%. If this was the result in each region, we would be sending 8 MEPs to Brussels next week. The YouGov graph shows all the other parties sliding down in the polls while we climb. Time for the national media to give us the level of airtime that our rivals get.